Ruffer Investment commentary for the first quarter ended March 31, 2018. 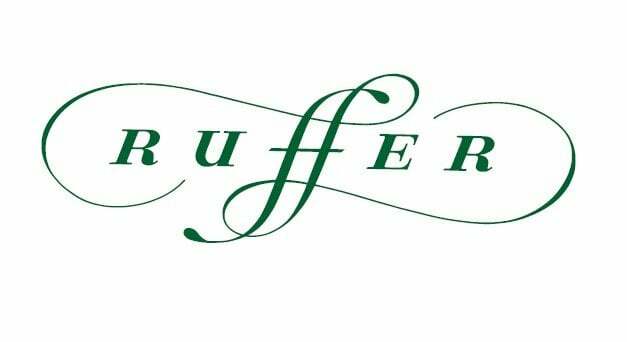 The markets have lost their sense of invincibility, but it has not resulted in an up-quarter at Ruffer. True, stock markets have been down by more than our portfolios, but the point of investment is to make money, not to find innovative ways of explaining away its absence. The purpose of this review is to set out our appraisal of where things stand. A sudden scare in stock market volatility upset the market in February. After that the market recovered, only to deteriorate again when faced with an old-fashioned scrap amongst the major powers. America’s response to its unfavourable position in world trade is, by definition, a market-changer. Markets have changed, guardedly, for the worse. Overall, the indices in Europe, the UK, Japan and elsewhere are down by a little under 10%. The United States has fallen by less, but on a weakened dollar. I will return to volatility below, but address first these ‘trade wars’ – or, rather, their choreographed preamble. Their continuance is a worrisome trend for the markets. The multi-generational drive towards world trade seems to have stuttered. The everlasting pendulum which swings between free-trade and protectionism is headed back towards protectionism. The reason for this is clear. Overall, the world becomes more prosperous when trade is open. But there are many losers in a world of free trade, as well as winners. Numerically, the winners are found in places that open up: unless one has been to China to see the waking of the millipede, it is hard to imagine the structural change that economic growth engenders. The dark side of this moon is in the developed countries. Here, the winners, in this winner-take-all world, are few. The catalyst for change comes from the ‘many’. As wealth has concentrated in fewer, older, hands, many may have been left behind – but all are equal at the ballot box. In a previous review, I described the relationship between the winners and losers in the western world in the context of the farmyard. The winners are as the solitary farmer in a field of bullocks; the losers are the bullocks themselves. Most of the time the farmers – weak and outnumbered – can control the bullocks. But circumstances can arise where the bullocks are able to outface their overseer; when the tipping point is reached, there is a change of regime. Perhaps we are now nearing that point. It is argued (and contested!) that the votes for Brexit in the United Kingdom and for Trump in America were energised by those who wanted change at any price. Disruptive companies ensure that taxi drivers, high street shopkeepers, and workers in the car industry lose their livelihoods. ´Twas ever thus: when the newspapers adopted the technology to put photographs in their sheets, it was bad news for the engravers. The engravers joined the stage coach boys and the haymakers in the ‘thank you and goodbye’ tavern. As transport costs come down, the marginal advantage of the local factory diminishes. The factory closes. Jobs are lost, and often never replaced. When the bullocks are in charge, societies are protected. The taxi driver and the engraver remain in work. The world is fairer, perhaps; poorer, certainly. And, this being an investment review not a parish magazine, this protection is a bad thing: it is a headwind for stock markets and a tailwind for inflation. As the regime changes, inflation-linked bonds are the one market we see as well placed to weather it. These bonds remain a crucial element in our clients’ portfolios. Leaving the farmyard, let’s turn back to the volatility tantrum in early February. We had identified volatility as being an Achilles heel of the markets, and we thought that, in full intensity, it would be enough to cause a comprehensive crash. On Thursday evening, 8 February, it came close to doing so. In the event, it did not; the frightening pre-earthquake tremor did not presage an immediate catastrophe. If we have authority in commenting on this it is because we were expecting it, and were so positioned that, if we lost large amounts of money in our equities and other risk assets, we would have made a correspondingly large amount in our volatility protection instruments. As it was, in early February we made a not inconsiderable amount in these instruments, neutralised by much the same loss on our conventional investments. We are confident that the earthquake will happen, more confident than we have been that it will happen in months, not years, and as confident as one can be that our disposition of assets will, as in previous crises, serve to protect clients. Why is volatility such a central theme in our thinking? In the credit crunch of 2008, the central crisis was in the banking sector. The dysfunction it created fused the whole of the electrical circuitry of the financial world. This circuitry was painstakingly restored to a fragile health by the injection of money, and a monetary policy which ensured interest rates were lower than the greybeards ever believed possible. The authorities avoided actual inflation in consumer prices, because the money thus created never left the financial system. But the extra money encouraged the inflation of asset values. Indeed, that was a central plank in the re-creation of a working financial system. This benign environment came at a cost, and the cost was that borrowing continued apace. High levels of debt almost inevitably equate to recklessness. That is why the eventual denouement is always quick; when the collateral is needed, it turns out not to be there. Over the last ten years, the centre of the problem has moved from the banking system to the world of asset managers: our world. This, it has to be said, is a much safer place for it, since the collapse of assets under management destroys wealth, but not the nerve centre of the system. This is critical for a Chancellor of an Exchequer, but fairly metaphysical for an investor – money lost is a bereavement, whatever the cause. It’s one thing to make an assertion, another to identify the focal point of the danger. Before the 2008 credit crunch, Henry Maxey, our Chief Investment Officer, identified the mortgage-backed security market as the epicentre of the trouble to come. There was prolific growth in these securities because their different tranches were particularly valuable to different types of investor. So much so that the sum of all those tranches – even after the grown-up fees taken by the issuing houses – was still worth more than 100%. The mortgage-backed securities were the barrel, and the investors turned out to be the fish. This time around, volatility has taken the place of mortgage-backed securities. Any fule kno that investments are risky – but how risky? One way of judging risk is to keep track of how volatile the price movement of a given security has been over time. The less volatile, the safer it is deemed to be. But that is like measuring how nice someone is by counting how many times they say ‘please’ and ‘thank you’. Once this becomes the standard measure of niceness, the number of ‘pleases’ and ‘thank yous’ goes up spectacularly – yet the character of the people in a community is unchanged. Just as the please factor is not much of a guide to niceness, nor is volatility much of a guide to riskiness. A systematic preference for an asset class with low volatility ensures that, while buyers keep buying, volatility will stay attractively low. This has meant that investors, either explicitly or implicitly, have come to believe the assets they own are safer than they actually are. Conventionally diversified portfolios – those with a mix of fixed income securities, equities, and ‘alternatives’ such as property and private equity – have become more dangerous. For equities, financial engineering has made earnings more leveraged (think companies borrowing more money to buy back their shares). For corporate bonds, portfolios are generally longer in duration, based on more leveraged corporate balance sheets, and have liquidity issues. For supposedly ‘alternative’ assets, the premium investors used to receive as compensation for holding something illiquid has shrunk beyond recognition. Yet as the inherent risks of holding these assets have increased, the measurement of their volatility has decreased (at least until recently). In a conventionally diversified portfolio, there are two drivers of volatility: the volatility of the individual assets themselves, and the correlation of those assets with each other. In the most general sense, the correlation between bonds and equities is the key relationship. Until February, the markets had been living in a nirvana: the volatility of the individual assets fell, and the bond/equity correlation was stable and negative (ie bonds and equities tended to move in different directions). That combination gives a portfolio made up of bonds and equities the appearance of being low risk, when viewed through the please-and-thank you lens of volatility. And that lens (or some cousin of it) is how the majority of the asset management industry judges risk. What this suggests is that volatility will be a key issue in a market unwind. The interesting thing in all this is that the investment community owns assets across the board about which it believes one thing, when the truth is quite another. The banking industry discovered the perils of using volatility-based ‘value at risk’ (VAR) in the 1990s. Our sense is that the asset management sector is set to learn the same lesson from increased volatility in the latter part of the 2010s. Connoisseurs of stock market history will remember the Bear Stearns setback in March 2008; we have just passed its tenth anniversary. That bank was brought down by the same mortgage-backed securities that compromised the entire system some six months later. Why didn’t people realise they were sitting on an earthquake? The answer was that the subprime mortgage-backed securities market was thought to be ‘only’ $85 billion – not big enough to bring down the system. Had these securities been a lone soldier, no doubt that would have been true. But it was simply an egregious example of a comprehensive pattern of behaviour. Its demise revealed a broader truth: the marking of prices on all structured credit could not be trusted. If February’s volatility spike revealed an analogous truth, it is this: volatility is not a guide to the risk of permanent capital loss; judged by risk of permanent capital loss, conventional portfolios are much riskier than they are measured to be. We sometimes describe the job of a thoughtful fund manager as identifying gaps between what the market perceives, and what is actually happening. When that gap is a gulf, expect a sharp movement. If the facts are more benign than the perception, then sooner or later asset prices will rise. If it’s the other way around, then sooner or later asset prices will go down. We have set out in this review why we think there’s danger ahead, and we have positioned the portfolios accordingly.